Retail is kind of a big deal in Winnipeg, so much so that mayor Sam Katz cited Bed, Bath and Beyond as evidence that Winnipeg was undergoing a “renaissance” in a recent address.-fp– The opening of IKEA rocked the city and everyone is exciting about H&M coming to Polo Park shopping centre. 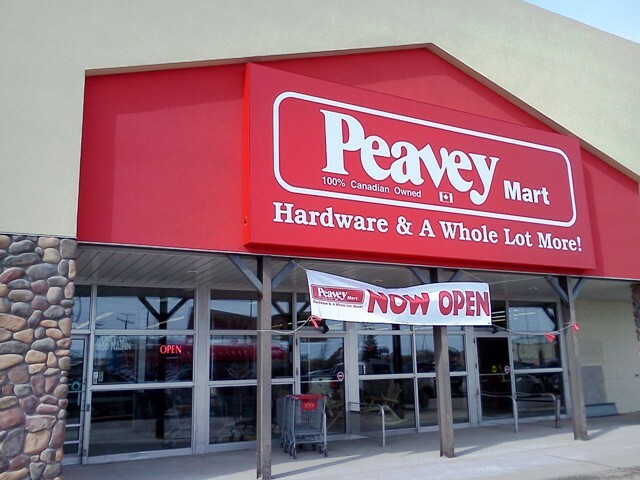 Big international or US chains generate the most buzz when they come to Winnipeg, but for a large segment of the population the opening of Canadian retailer Peavey Mart is probably much more meaningful. Peavey Mart, together with Princess Auto across the street, form a powerful 1-2 punch for handyman/outdoorsy type folks. That’s really all I have to say about that. 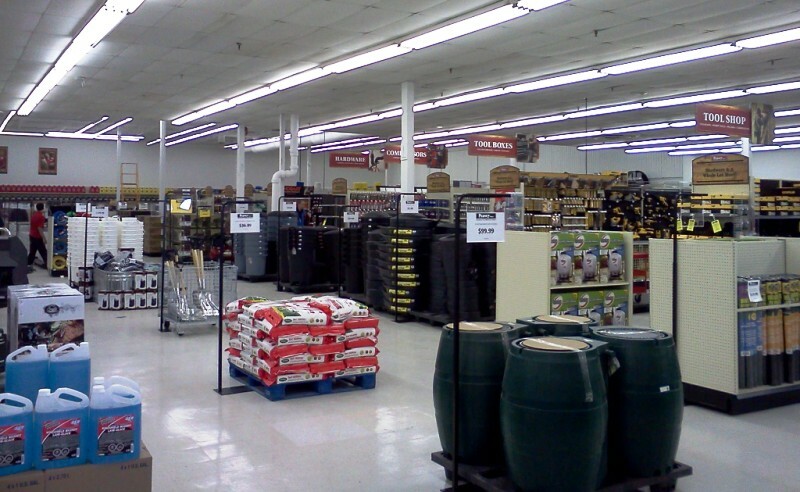 More choice of places to shop is always a good thing, so welcome to Peavey Mart! My $20 rubber boots better not leak! 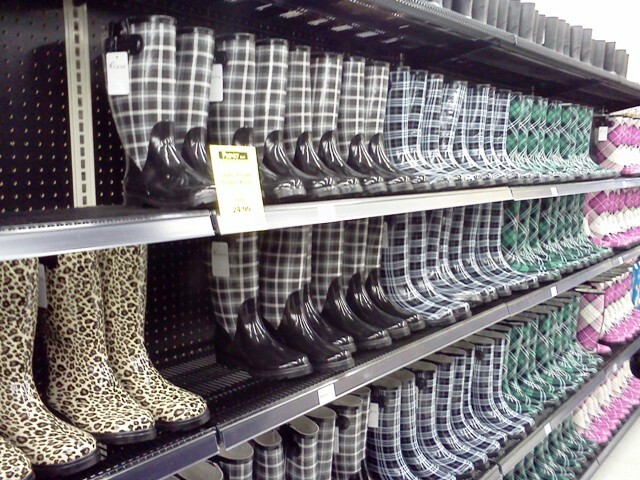 Cheap rubber boots you say? Ideal however for those Winnipeg folks who suffer exposure to politicians and are regularly inundated with the same stuff you find in barnyards.so have to continuously wade through it. Wow. Never even heard of that store. I believe you though. Sorry, my error Derick. Cashway was Ontario-based and bought by RONA is 2000. Peavy was originally National Farm Way Stores based in Winnipeg.